You're in the market for a luxury sedan. It's only natural that your mind immediately turned to BMW. With a long legacy of quality, BMW is known for producing some of the finest cars available on the road. The 2018 BMW 530i is the perfect example of where that legacy came from. A popular trim model from the larger 5-Series line, the 530i offers high performance coupled to top-of-the-line design and luxury. Sporting a subtle but attractive chassis, its interior is filled with features options like heated and cooled leather seating. When you sit down in the 530i, you'll understand why so many people have come to trust BMW to deliver the best of the best. There are no corners cut. Everything is designed to provide premium comfort. You'll also get premium performance and safety. The 530i makes use of a 2.0-liter turbocharged inline-4 powertrain. Capable of 34 miles per gallon on highways and 24 miles per gallon on city roads, it's likewise been rated to produce 248 horsepower and 258 pounds-feet of torque. That's more than enough to provide a high-performance driving experience. With safety options like lane keeping assisting, blind spot monitoring, and brake assist, you'll likewise have all the tools you need to stay safe on the road. 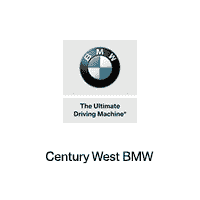 Do you want to learn more about what the BMW 530i has to offer, get in touch with the sales team at Century West BMW. Our location in Studio City, CA serves customers in West Hollywood, Los Angeles and Glendale, and we'd be happy to help you with all of your vehicle needs. We have a thorough inventory of new BMW cars.